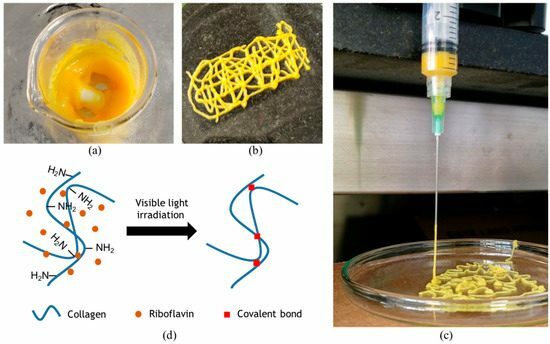 Colombian researchers performed a recent study, outlined in ‘Formulation and Characterization of a SIS-Based Photocrosslinkable Bioink,’ explaining the possible value in crosslinking to create better materials for 3D printing cells. Here, they are using small intestinal submucosa (SIS) with photocrosslinked reactions to manipulate the gelation process, despite some expected challenges. While the use of natural materials is always preferable, the researchers point out that they can also be difficult to work with due to lack of strength and stability. In the end that leads to inferior printability and further challenge.